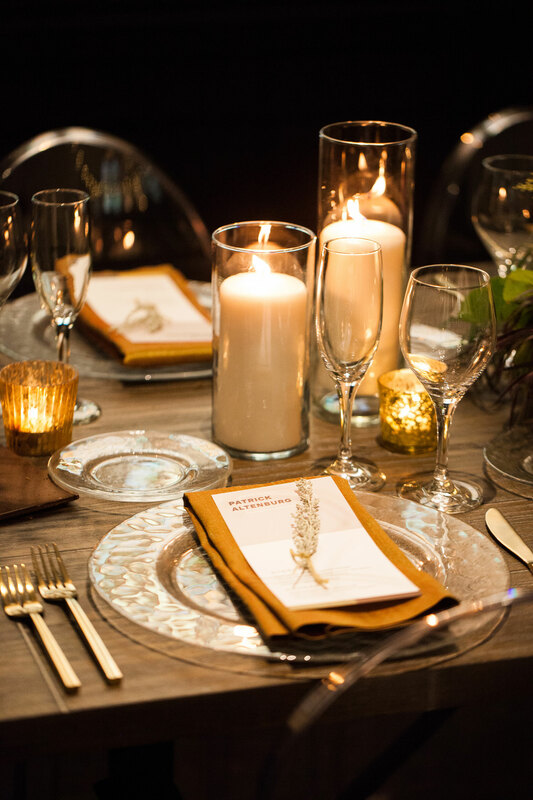 Dora Manuel of Viva Bella Events shares ways to blend elegant and hip styles. A memorable experience with a unique design for each and every client is a tall order, but we have recently found a shift in venue preferences that has literally changed the wedding scene in Cincinnati. While, we will always love the dramatic transformation of a ballroom or blank tent into something spectacular, in this season, we are finding that our more hipster, unconventional brides are hoping for a distinctive design starting point with Old World charm. 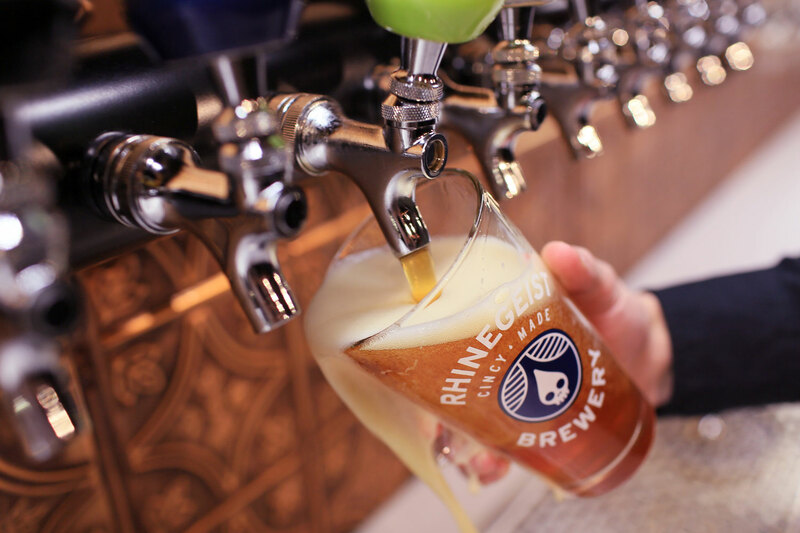 Restored churches and historic breweries have become a new way to incorporate a rustic, vintage feel with a decidedly urban, sophisticated style. 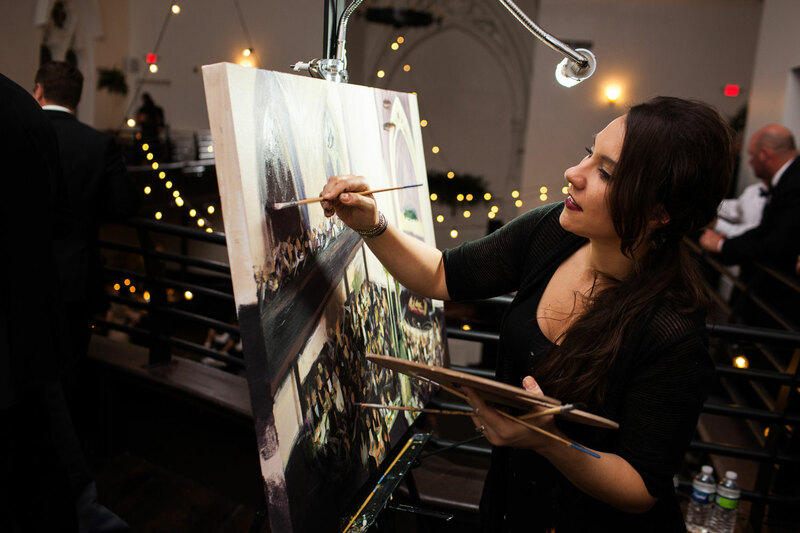 Navigating the fine line between “hipster/unplugged” and “timeless/elegant” can be complicated, but using beautiful historic churches and restored local breweries in downtown Cincinnati has become an unexpected way to seamlessly marry these two styles. 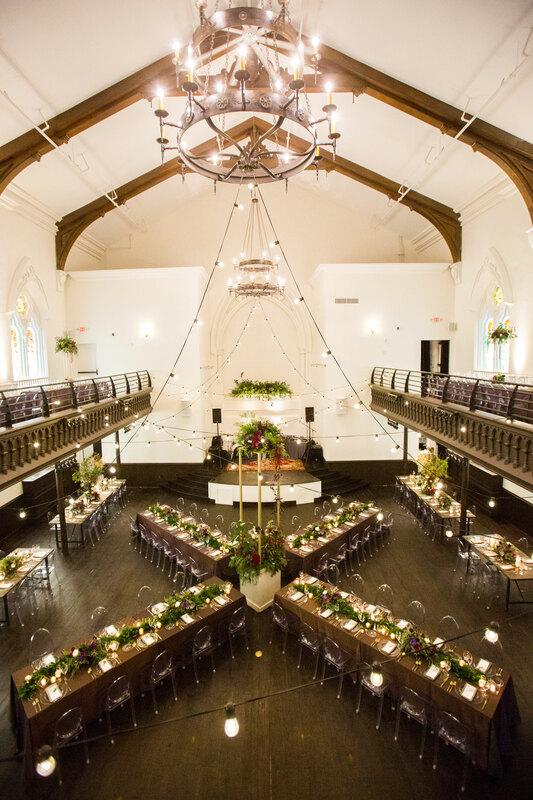 A former German gothic church located in downtown Cincinnati, The Transept, is a gorgeous space that is truly matchless in style, elegance, and size. Guests are wowed by the grand entrance featuring a massive staircase. 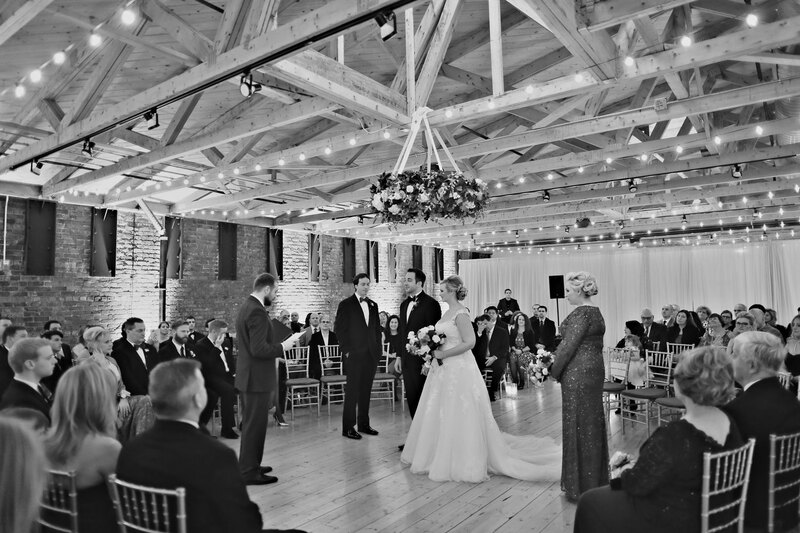 The glorious two-story ballroom showcases ornate stained-glass windows and impressive 170-year-old original ceiling beams that provide the perfect setting for a relaxed, yet refined, reception. For Becca & Tim’s chic wedding reception (pictured below), we created a floorplan for tables in an X-style layout with a striking floral installation in the center, as well as guests seated in the two-story balcony. Attendees enjoyed looking over the second story to watch the revelry below. Fresh florals, carefully selected details, and modern gold elements added to the romantic tone of the reception in the extraordinarily majestic venue. As a Senior Event Producer for Viva Bella Events, Monica Kurlemann Gaddis thought she had seen and done it all. 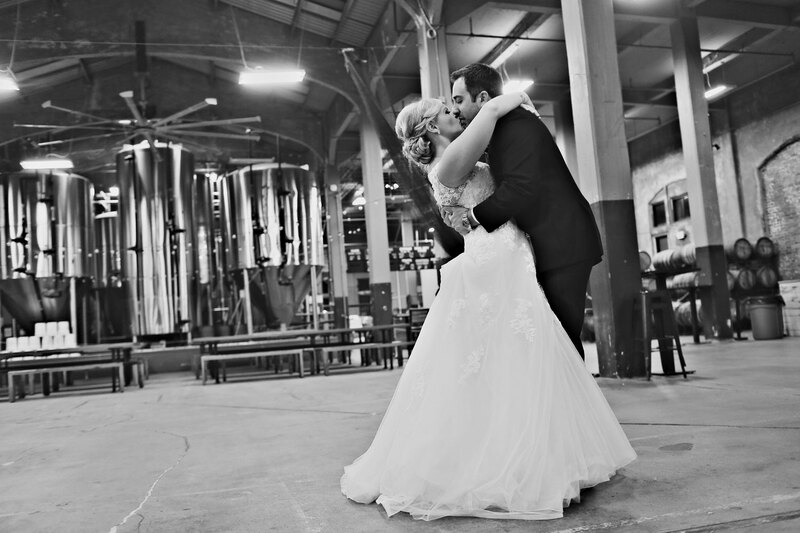 But when she began considering fresh venue ideas for her own wedding, she tapped into her German roots and love of beer. 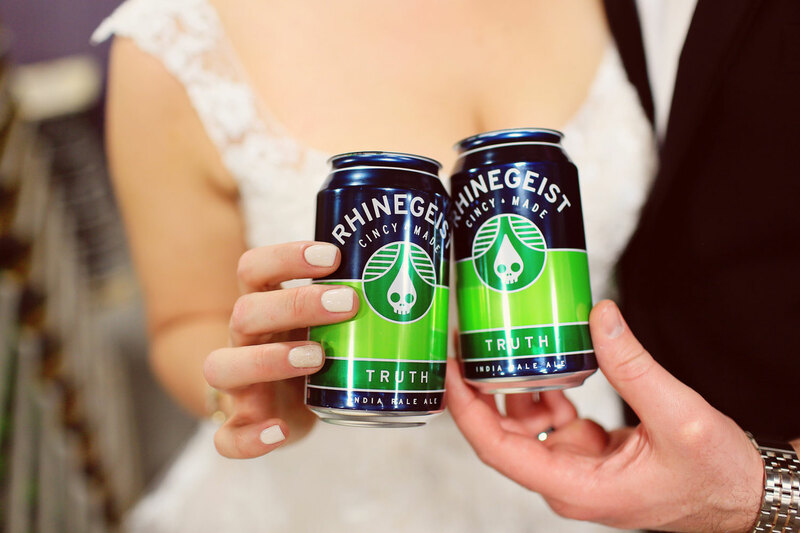 First built in 1895, the Rhinegeist Brewery & Event Space features exposed brick walls, pine floors, and refurbished open wood-rafter ceilings with skylights – not just for beer lovers, but for clients and guests alike who are looking for a venue with rich history and unmatched architectural features. Monica and Brandon chose to use the unique space to create a circular chair arrangement where guests could surround the couple, making for a truly intimate ceremony. Beautiful floral chandeliers and ethereal draperies were suspended from the rafters, adding a touch of whimsy. 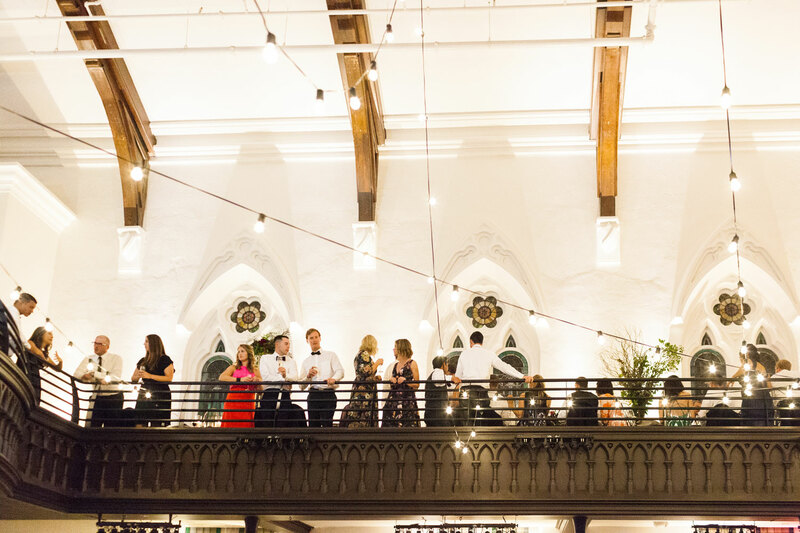 Surrounded in golden wood tones, strings of warm Edison bulbs, and the sunset glowing in the skylights, the brewery space provided a breathtaking backdrop for the couple’s elegant wedding and laid-back reception. 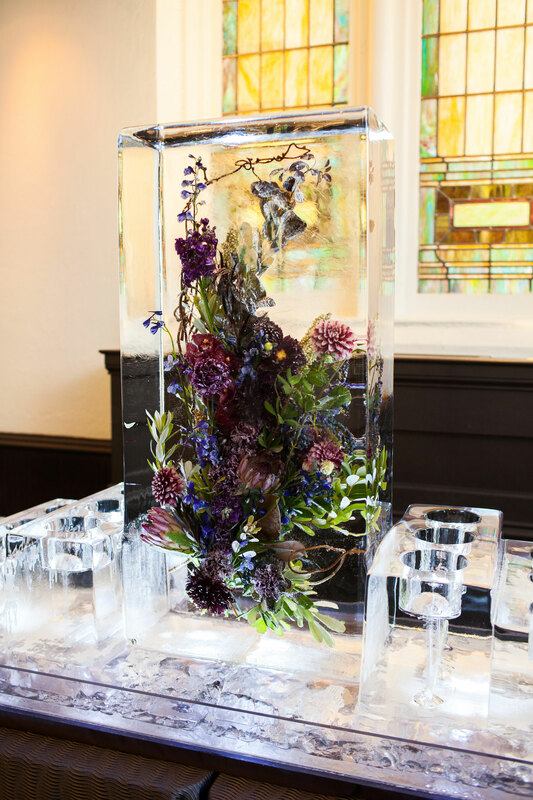 When thinking of spaces for today’s sophisticated, yet unplugged-style, weddings and receptions, we try to reach beyond the predictable and look for something a little bit unexpected and exciting. Every city has a history of its own to tap into. Using fabulous historic buildings is one way to ensure a truly unique experience in an unforgettable atmosphere.